Leadership articles to help you and your team succeed! I encourage you to use these articles in your newsletters, magazines, publications, and and of course, to reprint for training. 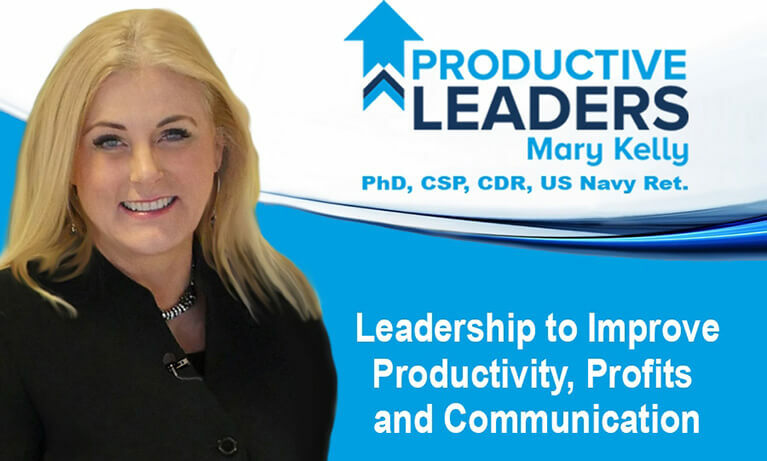 Mary Kelly, PhD, CSP, Commander, US Navy (ret) is the CEO of Productive Leaders, a firm devoted to improving leadership and business development. Mary is a popular conference speaker, corporate trainer, author, executive coach, and frustrated comedian. She can be reached at Mary@ProductiveLeaders.com.